Adedeji Peter ADENIRAN is a Senior Research Fellow at the Center for the Study of Economies of Africa (CSEA), a leading non-profit think tank research organization in Nigeria. He leads the Public Financial Management and Governance (PFMG) research team and also a member of Macroeconomic Management research program. His research interest cuts across development financing for SDGs, public sector economics, fiscal macroeconomics, experimental economics and economics of education. He is a member of South-South Global Thinkers, a team dedicated to bring innovation in the global south into the mainstream. He holds a Ph.D from the University of Witwatersrand, South Africa, and a Masters' and Bachelor's degree in Economics and Educational Management/Economics from the University of Ibadan. 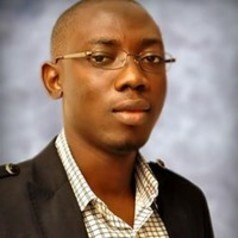 He previously worked as a seasonal Lecturer in the Department of Economics, University of the Witwatersrand, as a Data Analyst at the Analyst Data Services and Resources (ADSR) and as a Teaching Assistant in the Department of Economics University of Ibadan." He has led several projects funded by both local and international donor partners such as the International Development Research Centre (IDRC), Southern Voice, the Education Commission, Campaign for Tobacco-Free Kids (CTFK), Nigeria Natural Resource Charter (NNRC), and Facility for Oil Sector Transparency and Reform (FOSTER).